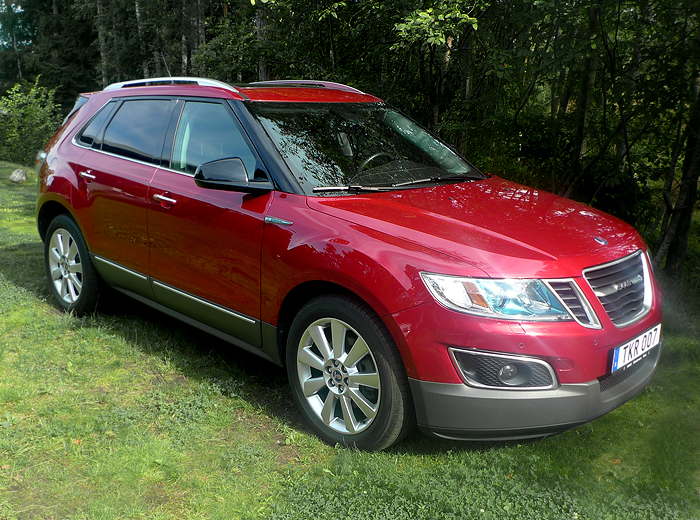 Taken from the Saab 9-4X UK brochure. 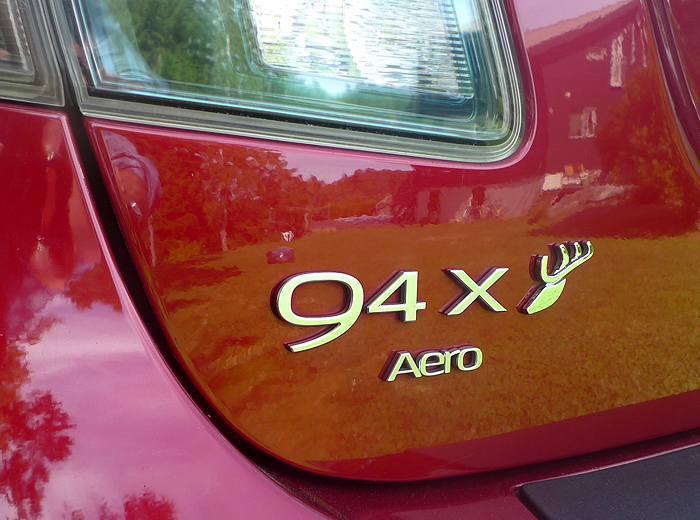 Alongside the stunningly beautiful 9-5NG SportCombi, Michél owns another rare and equally beautiful Saab – a 9-4X Aero. Finished in a deep, Crystal Red, and treated to a Hirsch 330hp upgrade, the 2.8 Turbo V6 has proved its worth when the snow starts to fall in Sweden. Michél says it’s a pleasure to own and drive and is an eminently capable crossover that still manages to deliver that hard to define Saabness. On icy mornings, the remote start kicks the silky smooth V6 into action, whilst the interior with it’s soft black heated leather, electric seats and stylish dash manage to wrap you in supreme Saab comfort and safety. 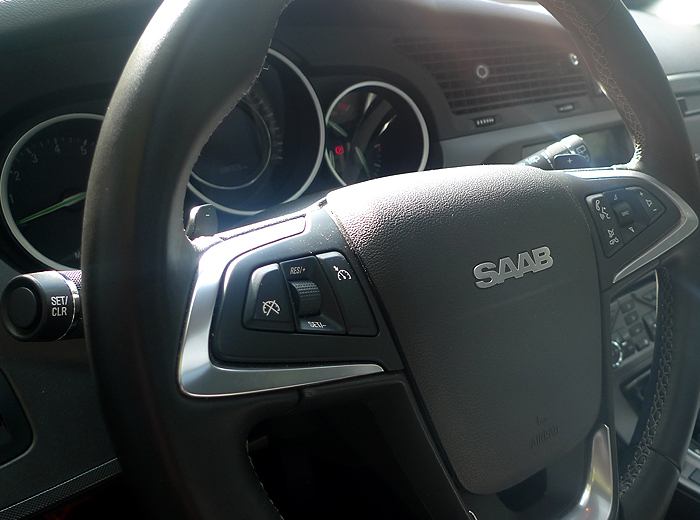 As with all Saabs, it features some exceptional design touches including the electronic tailgate, ice-block headlights and blacked out B pillars reinforcing its aerospace heritage. It also shares a similar, full width tailgate light and badge design with the 9-5NG which really does look stunning in reality. Michael says the 9-4X gets a lot of attention wherever he goes, and so it should. Yet again, it was a real privilege to see yet another rare Saab, tack Michél. 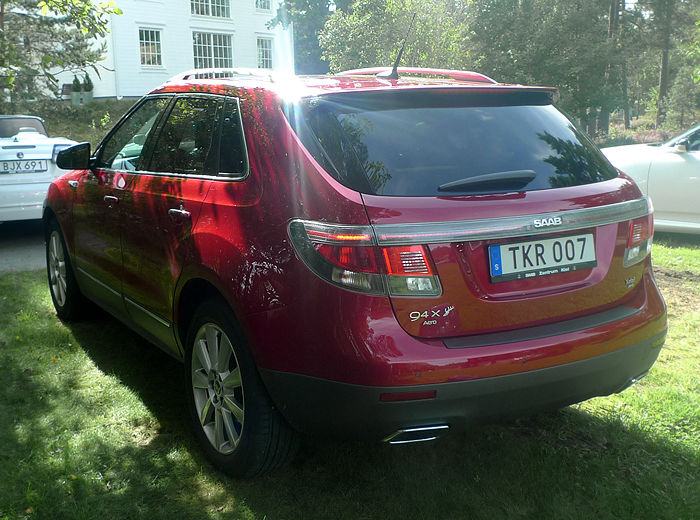 This entry was posted in 9-4X, SAAB Culture, Sweden and tagged 9-4X, Aero, Crossover, SAAB, SAAB Culture, Style, Sweden. Bookmark the permalink. Such a shame the 9-4x came so late. Drove one at the SOC convention in 2011 and was impressed. 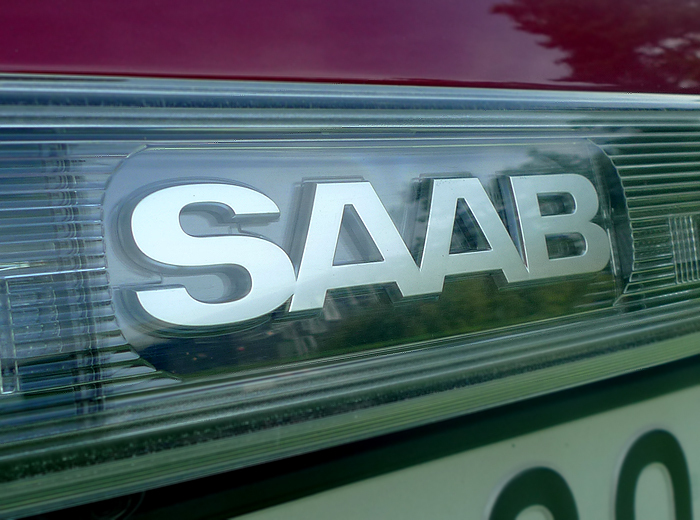 Looking at how these vehicles are selling around the world, the 9-4x could have ignited the SAAB jetset. Imagine a turbo diesel in the lineup!